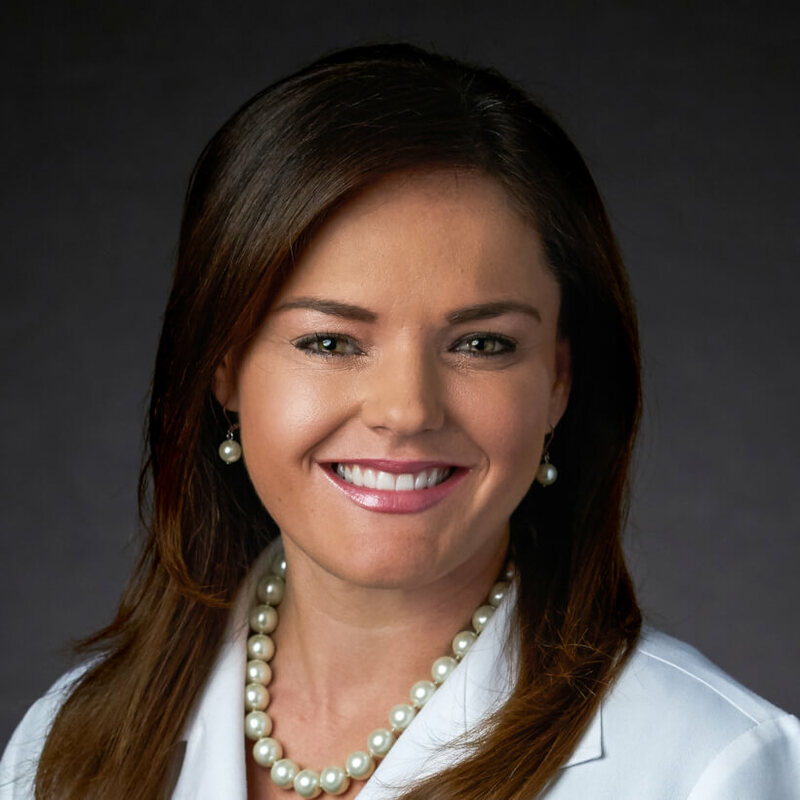 Sarah Cossette, MSN, BSN, RN, is Assistant Vice President of Patient Care Services and Interim Chief Nursing Officer at Cancer Treatment Centers of America® (CTCA), Phoenix. She provides strategic oversight for nursing practices, as well as for inpatient, infusion, surgery, infection control, float team, discharge planning, utilization review, and quality and risk services. A proficient analyst of culture, operations and mission, Cossette is driven to setting and achieving high-impact goals, while empowering and coaching others to further personal, team and organizational achievement. Cossette’s leadership reflects steady mission and outcome focus, but begins with absolute commitment to a compassionate excellence that transforms a patient’s experience. Prior to joining our Phoenix hospital, Cossette served as an active-duty Air Force officer and nurse, stationed in Italy, South Korea and numerous locations across the United States. In 2009, she was named the U.S. Air Forces in Europe Nurse of the Year, and in 2013, she was awarded the Clinical Excellence in Nursing Award, U.S. Air Education and Training Command. She continues to serve as an officer in the Air Force Reserve as Assistant Chief Nurse in the 944th Medical Squadron of Luke Air Force Base in Arizona. Cossette holds a Master of Nursing degree from Vanderbilt University, a Bachelor of Science degree from the U.S. Air Force Academy, and is a member of the Sigma Theta Tau International Honor Society of Nursing. She is dual-board certified as a Medical-Surgical Nurse and Adult Health Clinical Nurse Specialist. Mrs. Cossette is Lean Six Sigma certified, and is pursuing her Doctorate of Nursing Practice in executive leadership. This Colorado transplant has found a home in the Phoenix Valley of the Sun with her husband, Pete (an Air Force officer and F-35 fighter instructor pilot), and their children, Roman and Sophia. She enjoys cheering on the Arizona Cardinals, dabbling in interior design, and running unhealthily-long distances with her husband.